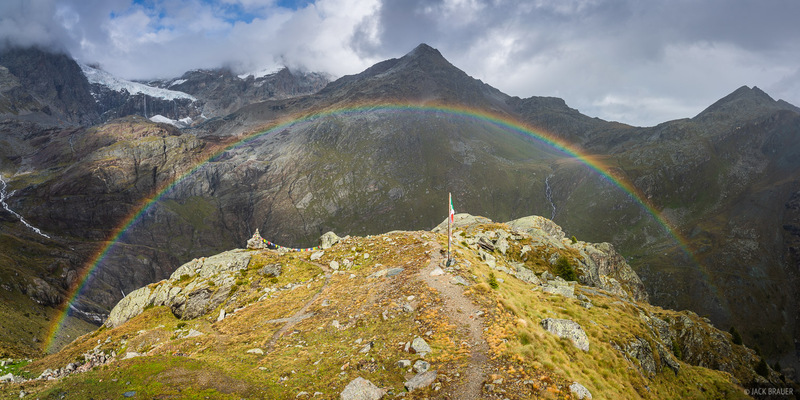 Rainbow near Rifugio Bignami. The Fellaria Glacier is visible above on the left. To the right is Passo Canfinal which we hiked over to get to Rifugio Bignami.